Touring Superleggera returned traditional coachbuilding into 21st century in 2008 when it presented the A8GCS Berlinetta sportscar project at the Villa d’Este Concours d’Elegance. Unfortunately this model intended for Maserati mechanicals was not developed any further. Instead, it was soon followed by a Bellagio Fastback conversion project for the Maserati Quattroporte. This made-to-order car was succeeded by the Bentley Continental-based station wagon named Flying Star which was presented at the Geneva Motor Show in 2010. The story of the revived world famous company continued into 2011 when it cooperated with a low-volume German supercar maker Gumpert and designed for them the Tornante supercar. This model, however, remained a static prototype likewise the aforementioned A8GCS Berlinetta. A real sensation happened in 2012 when Touring Superleggera used Geneva Motor Show to unveil its next project – the Alfa Romeo 8C Competizione-based Disco Volante sportscoupe. Shown in a static prototype form the car was well acclaimed and the small Italian company developed it next into a fully-working production ready model which was presented for spectators in Geneva in 2013. This completely reworked Alfa Rmeo is made only on order and is suited to specific customer needs. It is a one-of-a-kind creation for refined clientele only, but the elegance and styling decisions are admired by many. The sculptural Disco Volante - Touring’s masterpiece - is truly superb, but the company does not stop here. 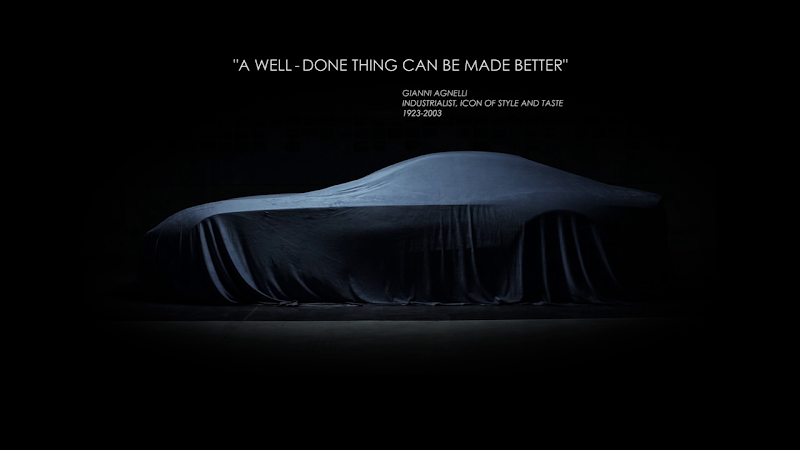 For the upcoming Geneva Motor Show the Italian artisans have prepared a new surprise premiere. 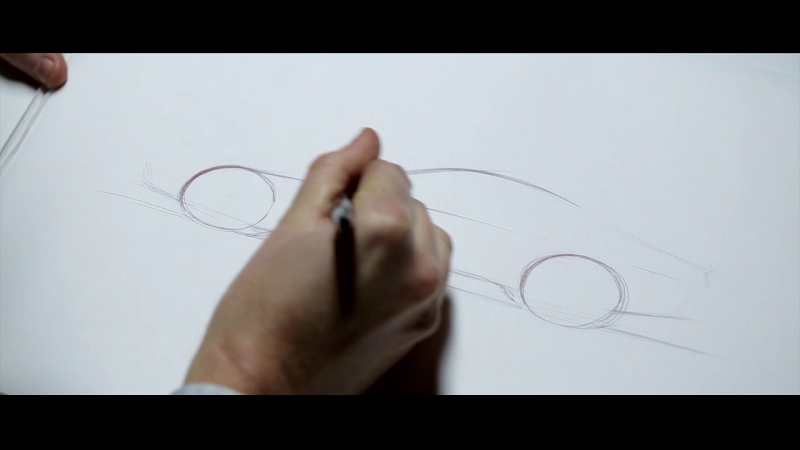 Shown in a teaser video the car is named Berlinetta Lusso. Covered profile view gives us a hint of what to expect. It is a classic two-seater sportscar with a long front hood and a sloping very short rear end. A significant detail is a very strict and emphasized side line continuing from the front wheel arches and vanishing into rear arches. The video well shows how this part of the body is being sculpted by master hands. An interesting fact is that the Berlinetta Lusso is accompanied by Giovanni Agnelli’s - Italian industrialist’s and principal shareholder’s of Fiat – quote “a well-done thing can be made better”. This well summarizes Touring Superleggera’s activities since this company pushes limits further by taking virtually perfect automobiles and turning them into desirable, admirable and driveable sculptures. One more thing is that video also shows Giovanni Agnelli’s Ferrari 166MM bodied by Touring in the 50’s. Nothing yet is officially confirmed but we can only expect that the new hand-crafted Italian special is a Ferrari-based masterpiece. We will get to know very soon since Geneva Motor Show opens its doors for media on March 3rd. Can Touring Superleggera really make well-done things better?